Recently, I wrote about how an adjustable-rate mortgage can make a lot of sense if you’re not planning on staying in your home (or condo) too long. Most ARMs have a fixed period for some years so you can take advantage of that and the lower interest rate for the short period you plan to stay. But what if you plan on hunkering down for a while? Or what if you’re simply concerned you may not qualify for a mortgage in the future due to some unforeseen or possibly semi-planned issue. Maybe you’ve never even thought about it, but it’s definitely something you need to consider if you choose an ARM. For example, say you’re self-employed and your income is unsteady at best. You know you’ll always be able to make your mortgage payments at today’s rates, but you might not earn as much next year or the year after that. If you had a great year or two recently it could make sense to lock in a fixed rate and hold onto it as your situation changes over time. You might even be able to buy more house now while your income is high, assuming you have the necessary down payment funds as well, though be reasonable here as not to overextend yourself if you think you won’t be able to replicate similar figures in coming years. Those who are W-2 borrowers aren’t exempt from wage decreases or layoffs either, so really anyone with a job has an uncertain future to some degree. Same goes for those starting a family. Maybe you just want a fixed mortgage now so you won’t have to worry about refinancing down the line if rates rise. After all, a dual income may turn into a single income, and that could affect qualification in the future. If you’re using both your income and your spouse’s to qualify, and theirs is non-existent in the future, it could make sense to just take the fixed option now so you don’t face payment shock once your ARM resets. Factor in kids plus less income and you could have a problem qualifying for a refinance, especially if mortgage rates rise from their near-record lows currently. You have enough to worry about with kids and the expenses that come with them, so an ARM might not be the best option if you want to sleep at night. Aside from these two more common examples, plenty of unexpected stuff happens in our daily lives that could make mortgage qualification tricky in the future. There’s really no guarantee you’ll continue to make good money, have good credit, or retain the assets necessary to refinance. Home values could also tank again and make refinancing difficult if you fall into a negative equity position. Sure, everything is looking peachy right now but we all know that can change in an instant. Say a borrower falls ill or unexpected medical costs rear their ugly head. Or you mess up your credit somehow. With a fixed mortgage, you won’t have to tinker with it in the future. With an ARM, there’s a good chance you’ll want to refinance it to another ARM or to a fixed product once that first adjustment comes along and pushes payments higher. 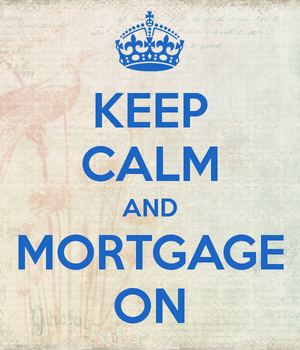 If you’re at all unsure you’ll qualify for a mortgage in the future, give your product choice some serious thought. You won’t want to be in a situation where you have to sell your home because you can’t refinance or afford your mortgage. Read more: Why was my mortgage rejected?